While there is actually no evidence of an iPad 4 or iPhone 6, their existence is just as plausible as the new batch of iPhone 5 and iPad 2 rumors going around today. 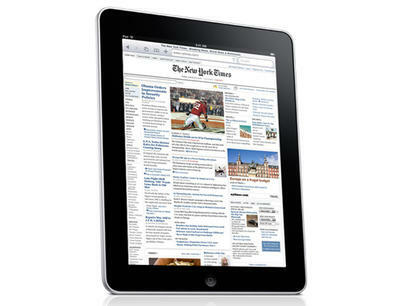 All Things Digital is reporting the iPad 2 will be announced at an event in San Francisco March 2nd. Another rumor claims the iPad 2 is delayed, and yet another claims the iPhone 5 is also arriving late. Surprisingly, the two delay rumors actually have nothing to do with each other. Not surprisingly, neither rumor is really founded on much actual evidence. So, Business Insider reported this morning that the iPhone 5 may be delayed. BI’s source for the story? FBR Capital Markets analyst Craig Berger. So, Craig has absolutely nothing to do with Apple. He’s an analyst, so he looks at the market and makes predictions about it. He’s basing his Sept. launch date on the same rumors that we’ve all been hearing about the phone. He thinks that “with various casing suppliers and touch suppliers still ramping up, with some chip vendors not having yet received firm iPhone 5 orders, and with other sockets like the image sensor (most likely going to Omnivision exclusively, but with some potential for Sony to split that socket) still in flux.” that a Sept. launch is more likely than July. Ok, so just like Apple hasn’t announced when/if it plans on launching the iPhone 5, it also hasn’t been advertising who it uses to make the parts for this mystery phone. Sure, it makes sense that Apple would stick with the same people it typically uses. But, based on Craig’s statements those people obviously can’t keep their mouths shut about Apple’s business…so, maybe they’re using someone who can to make parts now, and that’s why those companies haven’t seen any orders come in. You can’t base when a product is going to launch on a few loudmouth parts suppliers. Craig could be right. 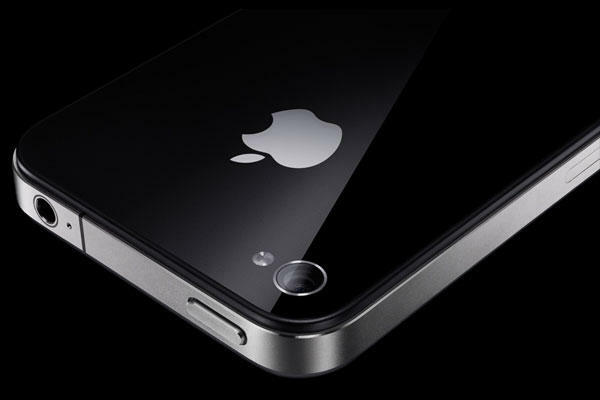 We might not see the iPhone 5 until September. Heck, we might not see it until July next year…but he really isn’t bringing any new information to the party that we didn’t already know. Rumor: Bogus. So, All Things Digital (which I tend to typically believe), is saying that the iPad 2 will be announced at an event in San Francisco next week. Their information is from “sources,” and they haven’t gotten an invite to the launch. All Things Digital’s post directly contradicts some other recent rumors that indicate the yet-to-be-announced iPad 2 is also delayed, and will not arrive until June. Thanks guys. So, I have my own beef with Reuters and this whole iPad rumor mill. I had a decent amount of respect for the publication, and then after the Daily launch the site posted an article that has to be hands down the worst iPad rumor I’ve read to date. The site actually published an article that said a Reuters eyewitness, not an employee, but a witness, saw the iPad 2 at the launch of the Daily. What did they have to say about it? “A source with knowledge of the device confirmed its existence, adding that the final release model could have other features.” Other features? ZOMG. No kidding it’s going to have other features. Why would Apple release another one if it was exactly the same as the original? Who are these people familiar with the matter? If you can’t name your source, and they have absolutely nothing to contribute to the information we already know…why publish it? Even huge publications like the Wall Street Journal and New York Times are hopping aboard the rumor train now, and it’s kinda of starting to make me mad. At this point I don’t know that I care if Apple announces both are postponed until Christmas 2013, as long as the ridiculous rumors can stop. Sure, we post quite a few rumors here at TechnoBuffalo. We try, however, to make sure the rumors we post are substantiated, and are adding a bit more to the overall picture before we hit that “Publish” button. Rumors are rumors, and not all of them are going to come true – but we try to make sure the one’s we publish have a pretty decent chance of coming into reality. What do you think about the iPad/iPhone rumor mill? Is it getting out of hand? What rumors do you think are true? … iPad 4 and iPhone 6. They’re gonna have new stuff guys, but are probably going to be delayed. Remember, you heard it here first.